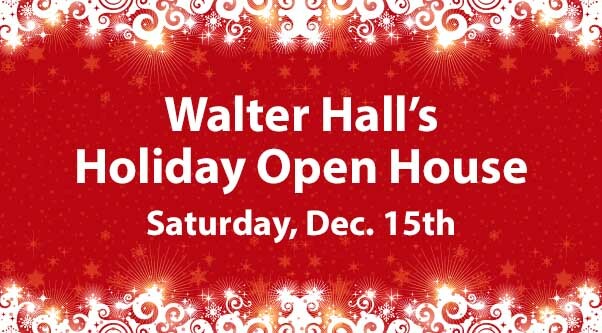 Join us for Walter Hall's Holiday Open House! Format: Play the front 9 in reverse fashion, it will be like cross country golf. Example - #1 tee to #8 green, #9 tee to #7 green, etc. Limited to the first 18 two-man teams to sign up. Register in the Walter Hall Golf Shop. $8.00 - Includes a bowl of chili and cornbread. While supplies last, we will have complimentary holiday beverages, hot snacks, and cookies for all ages. Take a shot at our giant coke bottle! $10.00 per entry. Get a sleeve of Srixon Balls & 3 Shots at the Bottle. *Top 3 KP's win great bonus prizes. We look forward to seeing you on the 15th. Happy Holidays from all of us at Walter Hall GC!